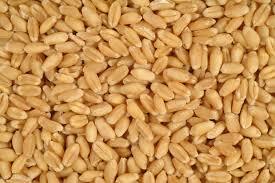 We are leading Suppliers & Exporters of wheat grains. With the help of our procuring agent, we procured uniform sized and optimum quality grains. These grains are available at competitive prices. Besides, we checked these grains on various quality parameters and ensure that we exports high quality wheat grains. Apart from this, we make sure to deliver the products to our customers within the postulated time frame at clients' premises. Wheat cereal is used extensively as wheat flour for making cereals, chapattis, breads and other baked products in different countries. The fiber and gluten found in wheat is highly beneficial for human consumption. Wheat is a type of Rabi crop and grown during the months of November to January and harvested between March and April. India is the third largest wheat producer in the world, first being EU-25 & second China. However, India has the largest wheat cultivation area with an annual production output ranging between 65 to 75 million tons. Wheat production in India is nearly 37% of the total food grain production of 210 to 212 tons.